New product alert! 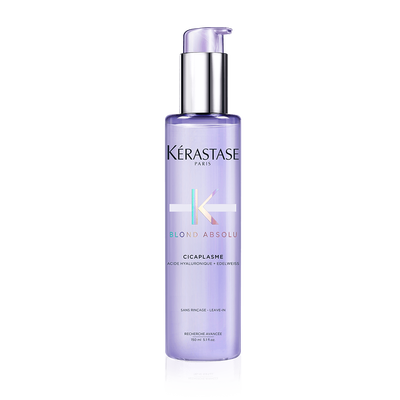 Kérastase has released a collection specifically for the blonde babes. 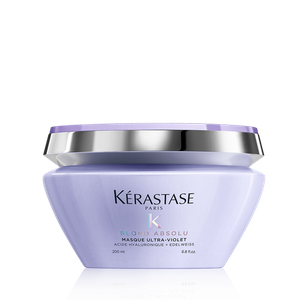 The Blond Absolu range provides instant fiber care and has anti-brass qualities that help maintain the ideal shade of blonde. The Bain Lumiere Shampoo intensely hydrates fiber and strengthens damage from within, providing illuminating shine and leaving the hair feeling light. 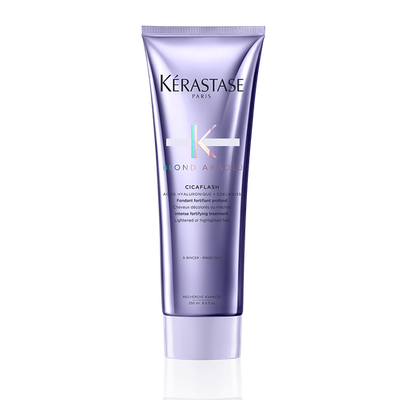 The Bain Ultra-Violet Purple Shampoo neutralizes brassy and yellow undertones to bring out cooler blonde shades and maintain shine. 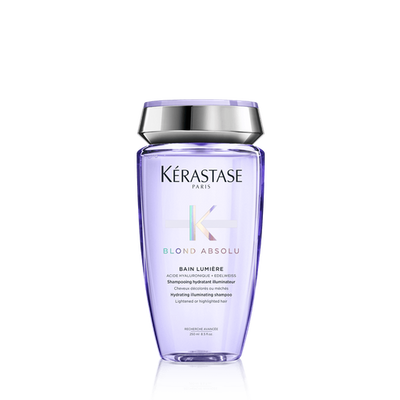 Like the Bain Lumiere Shampoo, this shampoo has strengthening, softening qualities to protect against daily damage. The Cicaflash Conditioner has the powerful qualities of a mask but with the light touch of a conditioner. It works to deeply moisturize the hair without weighing it down. The Masque Ultra-Violet Purple Hair Mask nourishes the hair while it neutralizes unwanted undertones to illuminate cool blondes for even brightness. Like the shampoos in this line, the mask hydrates and strengthens the hair to protect it from damage. 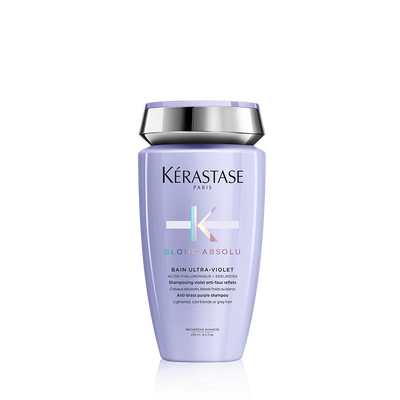 The Cicaplasme Hair Serum is a heat-protecting serum that instantly fills damaged areas of the hair fiber, while providing smoothness and heat protection up to 450 °F.